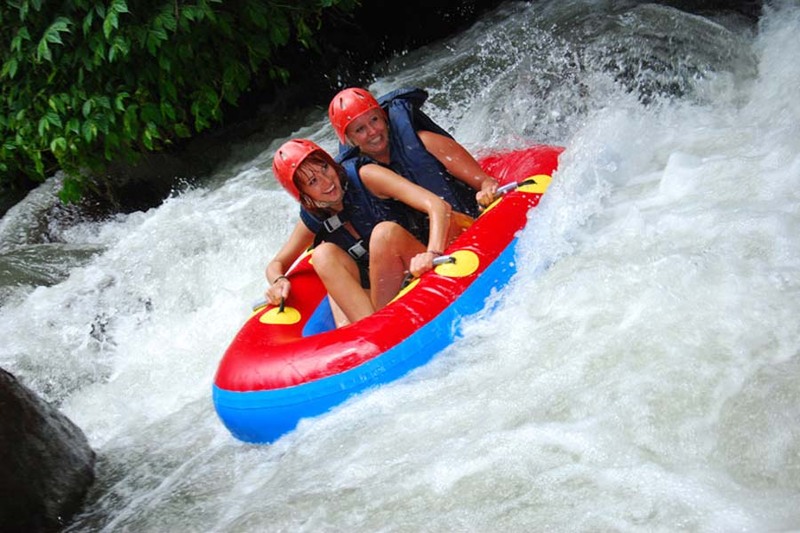 Bali River Tubing is a water adventure tour that we offer to enjoy floating on a tube through the beautiful river tubing Pakerisan and accompanied by a professional guide. This river tubing we cooperate with tubing company is renowned and has proven its quality in providing services to the guests. River we used for river tubing is Pakerisan rivers in the region Tampaksiring, the river is so natural with clear water and scenery around the unspoiled, green trees and birds chirping in the trees. As for the route to be taken in this river tubing along the 4.5 km with 7 class II rapids are exciting to follow. Activities river tubing is very similar to the same use of the river rafting, the difference in the tube, rafting tube can fit up to 6 people on the tube, but in river tubing only up to 2 people.